I make it a point to pamper my skin with some of my favorite natural ingredients over the weekend. Natural ingredients are safe to use and inexpensive too. In today’s post, I will be sharing the natural ingredients that work best for a particular skin type. If you aren’t aware of your skin type, here is what you need to know! If you have a normal skin, you will have an even skin tone which is smooth and radiant. You are more likely to have less imperfections and pores won’t be much visible. Also, your skin tissues do not produce any sebum (or oil) as your skin has good blood circulation. Generally, people with normal skin type need not follow a particular beauty regime. Even though people with normal skin have a radiant complexion there are chances of getting tanned or if the skin gets exposed to pollution and dust, it may need proper treatment and care. So, to work with your skin, which is either dull or tanned due to environmental factors, you can apply lemon and sugar the following way! You can cut a lemon into two halves and by holding a little amount of sugar in your palm dab half the piece of lemon over sugar and rub it directly on to face. If you wish to you can also mix some amount of glycerin or olive oil into sugar. Many of the fairness and tan removal face washes or scrubs are formulated with lemon. Sugar and lemon act as a deep cleansing agent to skin and thus, help in the removal of dead skin cells and tan. If you have oily skin you are more likely to experience excess sebum production by facial skin tissues on forehead, nose and cheeks. You tend to sweat a lot and the sebaceous glands are much active and produce more oil than necessary. Your face may be covered with pimples, blackheads, whiteheads and other blemishes. In order to combat pimples and blemishes caused by oily skin that produces excess sebum, you would need an ingredient that controls oil and is refreshing as well. When I think of refreshing my face up, mint comes to my mind. And, here is the way to apply mint and cucumber in order to have a control over the excess sebum produced by oily skin. Grind few fresh mint leaves and cucumber pieces into a thick paste and apply it well all over face and leave it for about 10 minutes. Wash your face with water, pat dry and notice skin that looks bright and fresh all day long. Using a simple ingredient like mint can help reduce pimples and blackheads on skin. The salicylic acid present in mint helps in preventing acne. The strong aroma of mint may also help in relaxing your nerves. 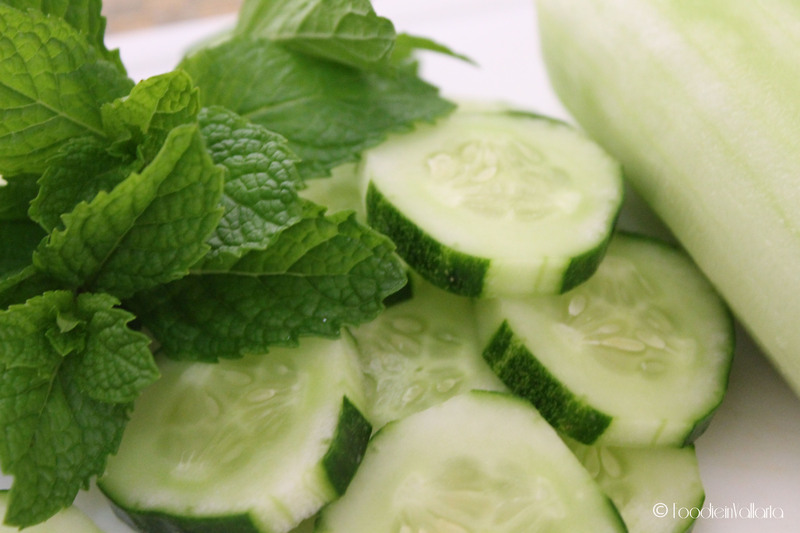 Cucumber naturally moisturizes and hydrates skin and acts as a natural cooling agent. If your skin is dull, rough and less elastic, you fall under the category of dry skin type. Your skin tends to be rough with invisible pores and red patches. Dry skin produces less sebum and the skin feels flaky. People with dry skin will need an ingredient that hydrates and moisturizes skin well. And, there cannot be any better ingredient for a dry skin than aloe vera as it has both hydrating and moisturizing properties. Just pick a healthy aloe vera stem from your home plant and grind the pulp. Dab it well onto your face and wash after few minutes. Aloe Vera moisturizes the skin deeply and prevents it from drying. You skin tends to shine and glow after the application of aloe vera gel. 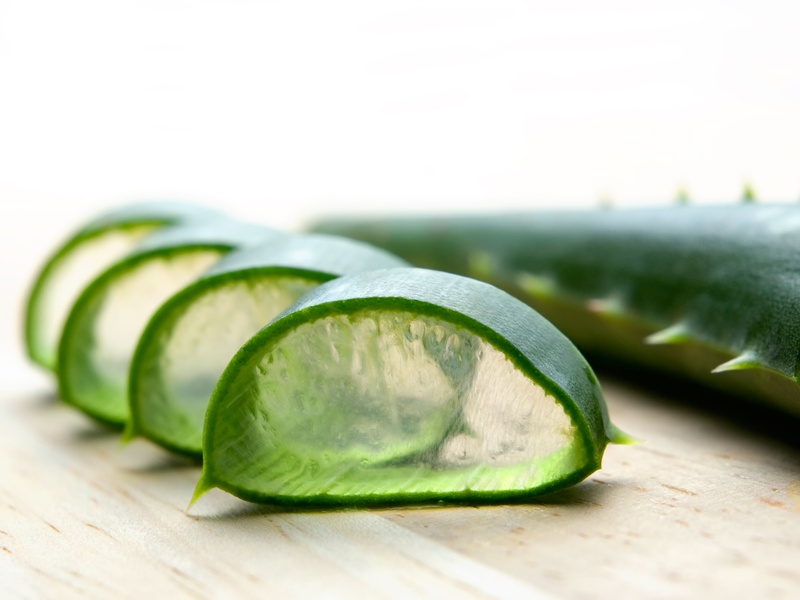 Aloe Vera is a great ingredient used for dry skin in order to achieve proper skin restoration. If you experience itching, redness and burning to the response of any product your skin is sensitive. Your skin tends to be inflamed and irritated easily. Also it’s fragile type of skin and usually its dry. People with sensitive skin may also respond to natural ingredients. So, not all natural ingredients are safe for their skin. Some of them are even allergic to few ingredients. Sandalwood is a soothing ingredient that calms down the irritation caused by sensitive skin. Mix some sandalwood powder and rose water into a fine paste and apply it all over face for about 10 minutes. Gently cleanse with water and pat dry. Sandalwood controls the production of sebum by making the skin look even and radiant. Also, if you experience any kind of redness or irritation sandalwood acts as a cooling agent on skin. Sensitive skin is more prone to redness and itching of skin. Some people with sensitive skin can also easily develop diseases like psoriasis and eczema and sandalwood powder is the best treatment for them. If your facial skin is dry in some areas and normal in particular areas you are having a combination skin. Combination skin tends to produce blackheads and over dilated pores. It can also be oily in the areas of T-zone that include forehead, nose and chin. Keeping in mind that people with combination skin have dry skin in some parts of face and oily skin mostly on the T-zone, it is important to treat the combination skin considering the fact that it is dry and oily as well. So, honey and curd are the most commonly used ingredients for combination type of skin. Mix two to three drops of honey with one tablespoon of curd and apply the mixture well on face until it dries completely. Rinse with water after 10 minutes. Honey moisturizes the skin well and leaves your skin glowing like never before. It makes your skin soft and supple. It opens up pores and makes it easy to unclog. Whereas, curd helps in whitening of skin and gives you a natural gleam. Hope this helps. Also, let me know about your favorite natural ingredient in the comments below. Until then, happy pampering! 5 Natural Ingredients to Get Beautiful Skin Around The Eyes! Skin Care: How To Determine Your Skin Type- Oily, Dry, etc. my skin lovess cucumber! have to stock up! I have kinda dry skin but am not really fond of using aloe vera. But, my skin loves honey. It behaves so well if I use honey regularly and it looks so clean and refreshed. Good post Sumera.